The K750i camera controls are very similar to popular digital cameras. The K750i comes with easy-to-use image editing PC software. Create multiple photo albums, add effects, send email with impressive images to anywhere in the world. 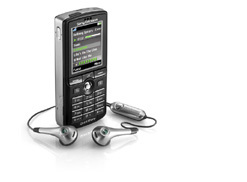 Polyphonic mobile ringtones for your Sony Ericsson K750i mobile.